Puppies are cuddly, cute and adorable – and at times, extremely gross! You know what I am talking about – when your little darling suddenly presents you with a puddle or pile of urine or feces on your good carpet, it doesn't seem quite so darling then, does it? Don't feel guilty: It's tough to love a puppy that uses your entire house as its bathroom. But take heart, you don't have to live with such an individual. You can teach your puppy proper bathroom behavior: to do its business only at the times and only in the places that you want it to. This teaching process is called housetraining and your puppy can ace basic housetraining as long as you follow these seven simple steps. gives your pup the incentive to develop the bowel and bladder control that's essential to effective housetraining. see the crate as a place to relax and sleep. Right now, though, all you need to know is this: Housetraining is much easier on you and your puppy if you use a crate. Don't try to do it without one. 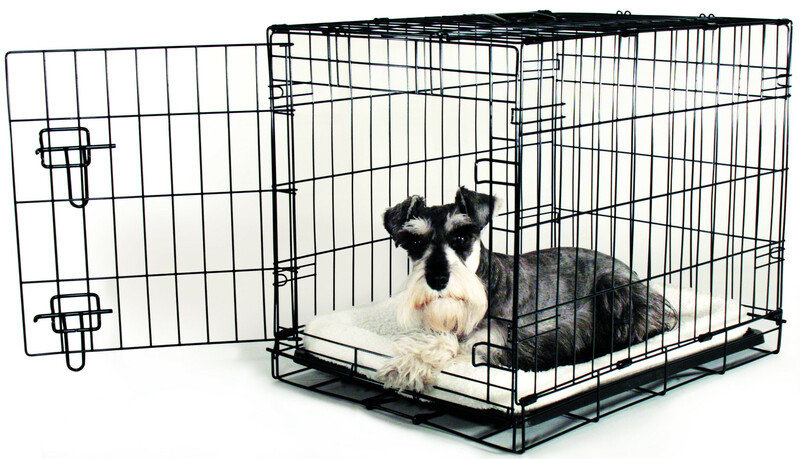 Here's a tip: In addition to a crate, baby gates can keep your puppy safely confined and help preventhousetraining accidents when you can't watch your puppy. Before you can teach your dog to pee or poop in a specific area, you have to choose the right area best suited to your property. Generally, the best place for that spot is in the backyard near the house. That way, you and your pup won't have to go very far when it needs to poo. Make sure the area is easy to clean; dogs don't like using dirty potties any more than we do. Another important advantage to using your own property is that you can better protect your puppy from deadly diseases, such as distemper and canine parvovirus. Both diseases can be transmitted through contact with infected dog's vomit or bodily waste. Because other dogs – except those that already live with you – aren't likely to eliminate in your yard, your puppy won't come in contact with those potentially disease-transmitting agents.